​My pal and cohort Bryan Owings is a great drummer, in fact, he's all over "pm" and "Mercyland". We've seen the world together. I painted this as a Christmas gift to Bryan and his wife Sylvia. 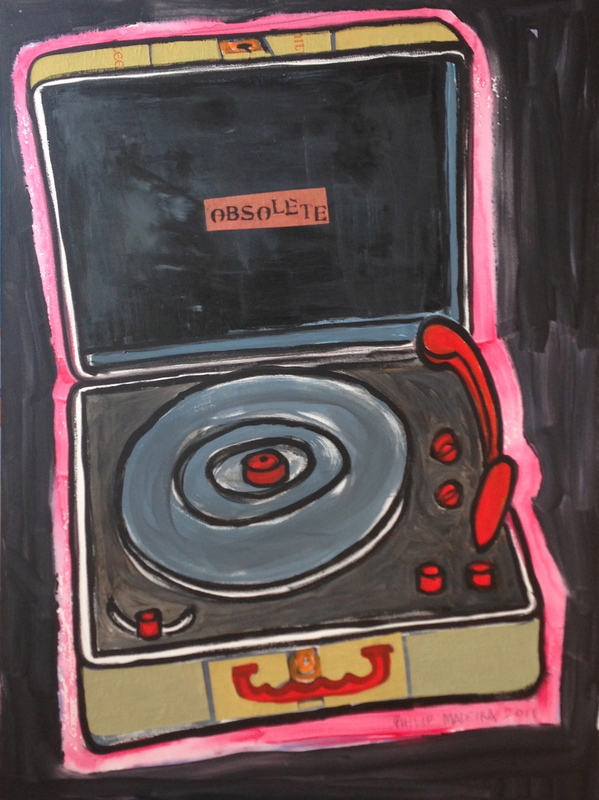 ​I painted this as a commission for singer Mark Lowry, for whom JD Sumner, the great bass singer, is an idol of sorts. I guess in gospel music, one shouldn't have idols. From everything I've heard about the deceased JD, I'm not sure role model would apply. We were in a guitar shop in Lawrence, Kansas when ​I took a picture of Colin, the legendary finger stylist those playing can be heard on "Oh Brother, Where Art Thou" and other films. Later, I turned it into a postcard. Recently, I came upon it and sooner or later, I'll put it in the mail to Mr Linden himself. ​I was in New York City with Emmylou when my friend Tanya snapped a photo of me near City Hall, the venue we were appearing at. 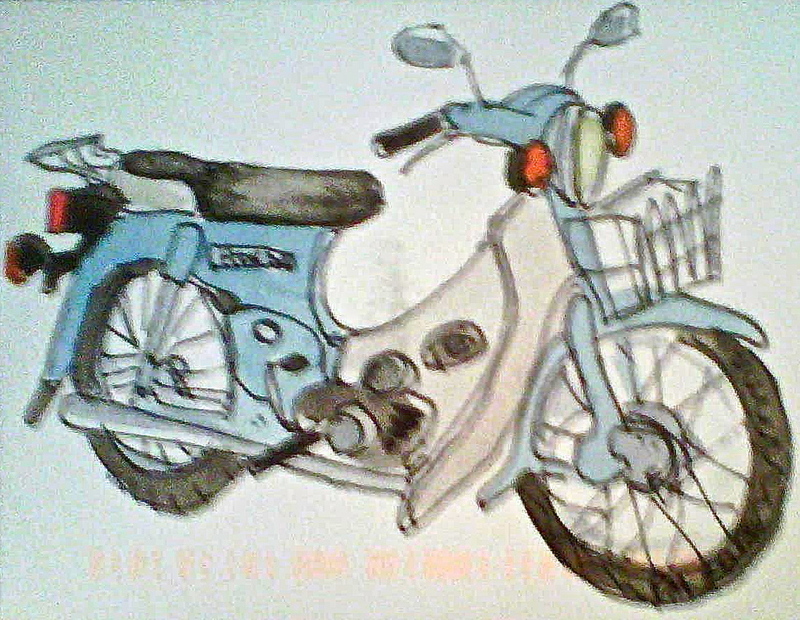 Tanya sent it my way, and I copied it with my little watercolor set and sent it to my Southern Born Woman along with a letter which says nothing much, except for the word "Tibet". ​In my book, God On The Rocks, I talk about my painting days at Taylor University. The faculty painting teacher was color blind, so I waited until he took a sabbatical before I took any painting courses. It was worth the wait. I can't remember the substitute's name, but she was very inspirational. All my "hard edged" paintings are from this time period. I was too timid to mess with watercolors or oils. ​I found a photograph of Mr Capote which I found compellingly direct, even though he was wearing sunglasses, so I made a study of it. It still hangs on my wall to this day. ​I started painting with watercolors when I started touring with Emmylou Harris in '08. Her canine companions are nearly as famous as she is. This one, Keeta, is a feisty and wonderful animal. I sent it to Emmy with a note of thanks. She's been good to me over the years. ​I've never done anything abstract before, but this one really makes me happy. It's on loan from my daughter to my Southern Born Woman, in whose office it hangs, tempting people to describe their dreams, one would hope. ​Ralston is a dear friend who plays folk music in Michigan. He's a real hero in the Grand Rapids area. I think he should run for mayor, but perhaps he has too much integrity for politics. ​Anyway, we were recording a record at my house, and after a long day of singing and playing, he sat in my kitchen and pontificated about life while I painted his portrait. ​We were playing a casino at Hampton Beach, NH. I don't get to the ocean much now that I live in Nashville, so I took a very long walk on the beach, taking photos as I strolled. 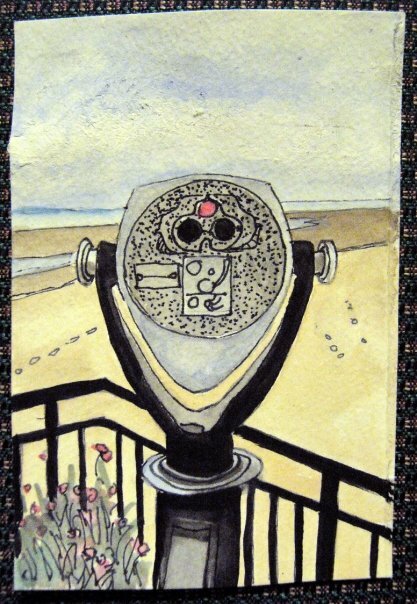 This one turned into a watercolor postcard, as is often the case. ​This is my best postcard. It's also the only one that hasn't made it through the mail to its intended recipient. I think the hotel clerk at the Oslo Radisson has it on his office wall, but I confess I can be suspicious of others at times. I hope this boat returns home one day. ​We were in the midwest somewhere when I painted my hat. This is a favorite hat of mine; I have beaten it to death, but I still wear it. I should probably throw it away, but that's not how I roll. it's a companion to the painting of my winter chapeau, which graces the cover of pm. ​​I admit, I'm estimating on the dates of these things. I saw this trailer and had to take a picture of it, which of course turned into a watercolor postcard to send back home. My friend Paul Clark wanted to buy this one, as he has a trailer that's quite similar. Sorry, Paul. ​I did this for drummer Dennis Holt, who has played on many of my projects over the years. 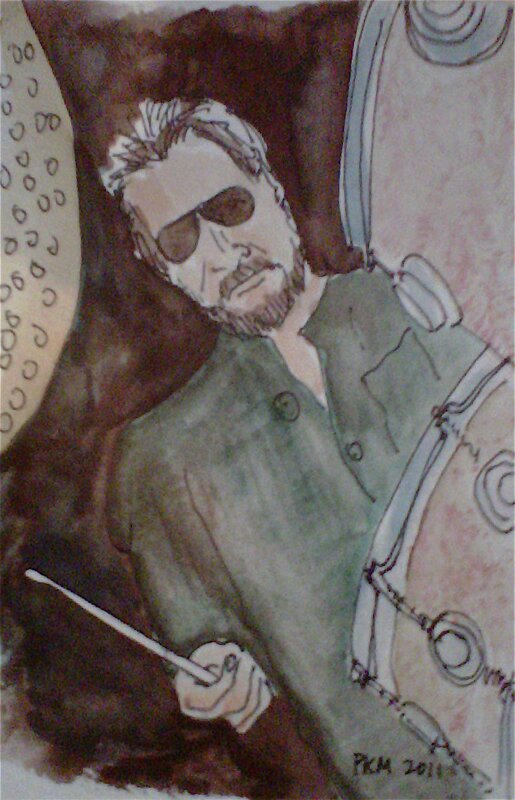 He came over to the house to do some drumming and requested a portrait of the great Jim Keltner in lieu of payment. "Deal", I said. ​I don't fish very much, at least not literally. 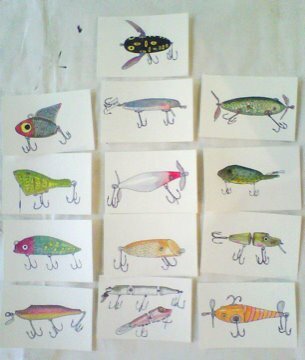 But the craftsmanship and design of antique fishing lures appeals to me. I've painted dozens of them- here are a few. ​Like most of my art, I do it for me. it's the best way. People have asked about this lap steel- whether or not I'm going to sell it. No, I did this for fun, and moreover, to have a great lap steel. The good folks at Eastwood Guitars near Toronto gave me this instrument when our tech left mine in the warehouse at the beginning of a run. God bless Eastwood. They saved the next few weeks of playing by giving me a really great Airline lap steel. The guitar was fine, in and of itself, but one day I took a screwdriver to it.​ The next day, I cut the fins off. Then I started going crazy. The back is even wilder, with a painting of Adam and Eve. Lots of blues players adorn this thing. If I have to call it something, I call it "Theology". ​This is the back of the lap steel, before completion. I can't blame Adam for taking a bite, can you?